We sell at local markets in the Boston area, and also teach lettering workshops. Come say hello! We’re currently scheduling workshops for the spring and summer. Please stay tuned for upcoming dates and locations! Interested in hosting a workshop or private event? 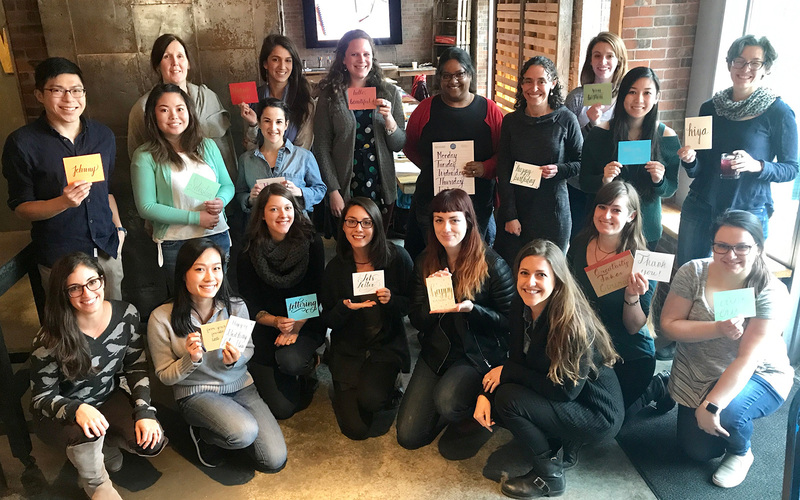 A We’re Into It workshop is a great way to add a fun and unique event to your calendar! Are you looking for a fun activity that will bring a group of people together to tap into their creative skills? 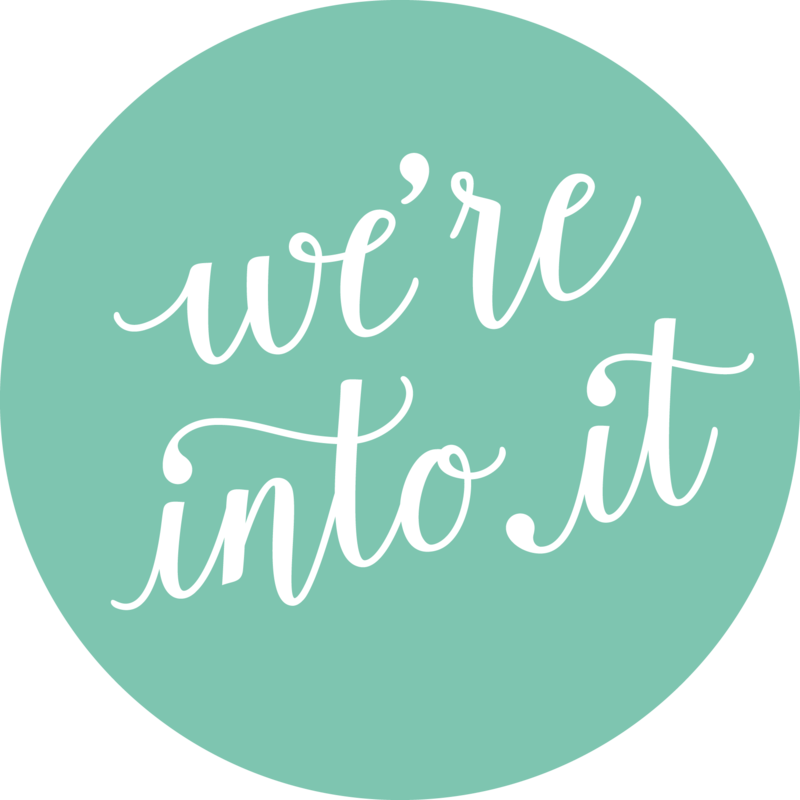 A We’re Into It workshop is a great way to add a fun and unique event to your calendar! 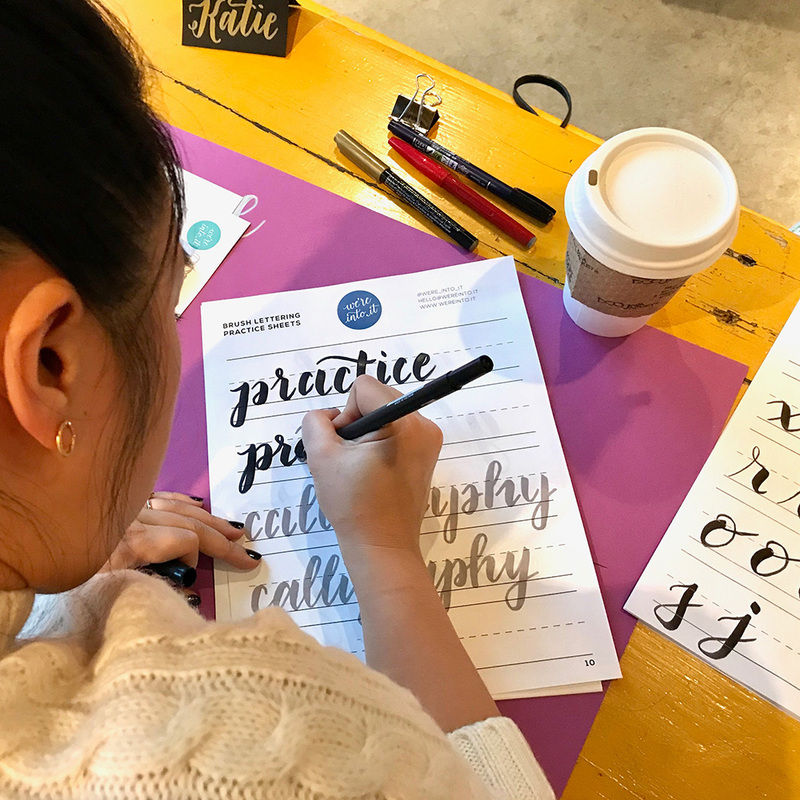 Using our expertise, we teach brush lettering workshops hosted at Boston-area businesses, with the goal of sharing our knowledge and the hope to grow and foster the creative community in our city. 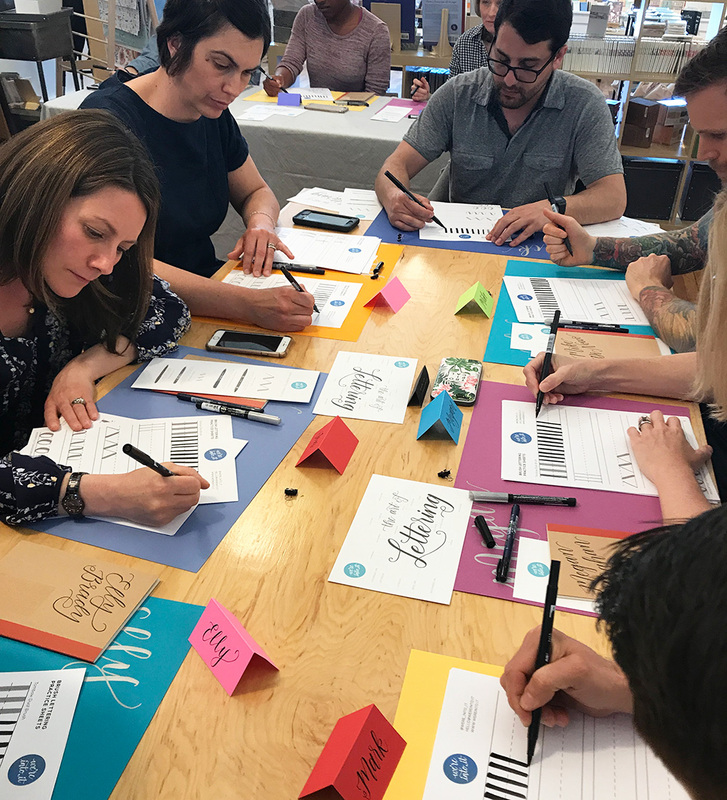 We provide all the tools needed for students to begin lettering, including a lettering workbook, set of pens, materials to create custom pieces, and personalized items made by us. 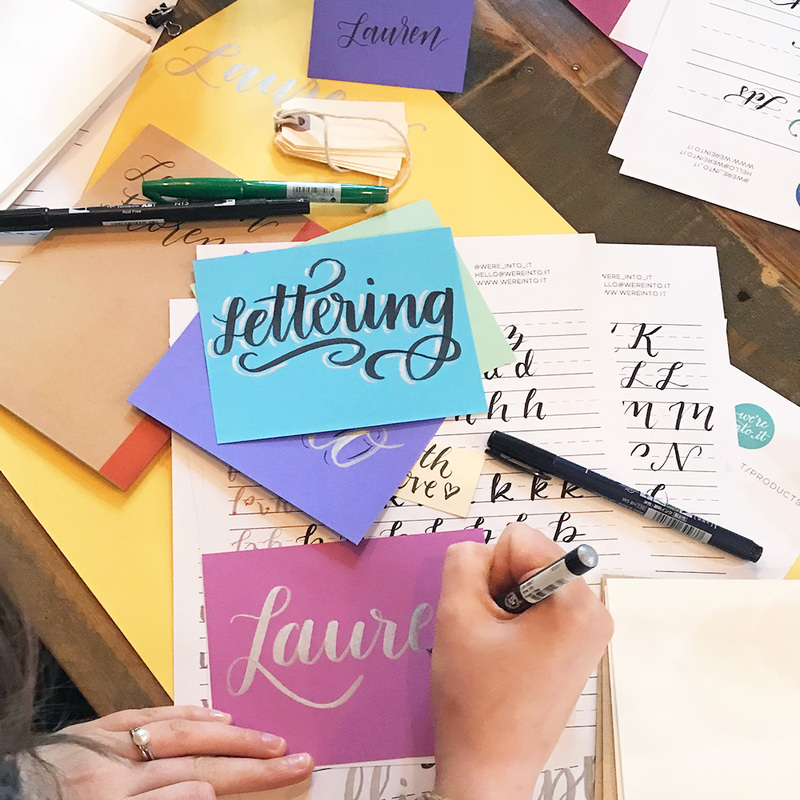 We would love the opportunity to work with you to host a lettering event! We work with our clients to agree on an appropriate event price based on class length, materials, and host costs, ensuring that all parties are compensated fairly. Our ticket costs range from $50–$95 per person. We fully market these events to ensure high ticket sales, and aim for class sizes around 12–25 students. 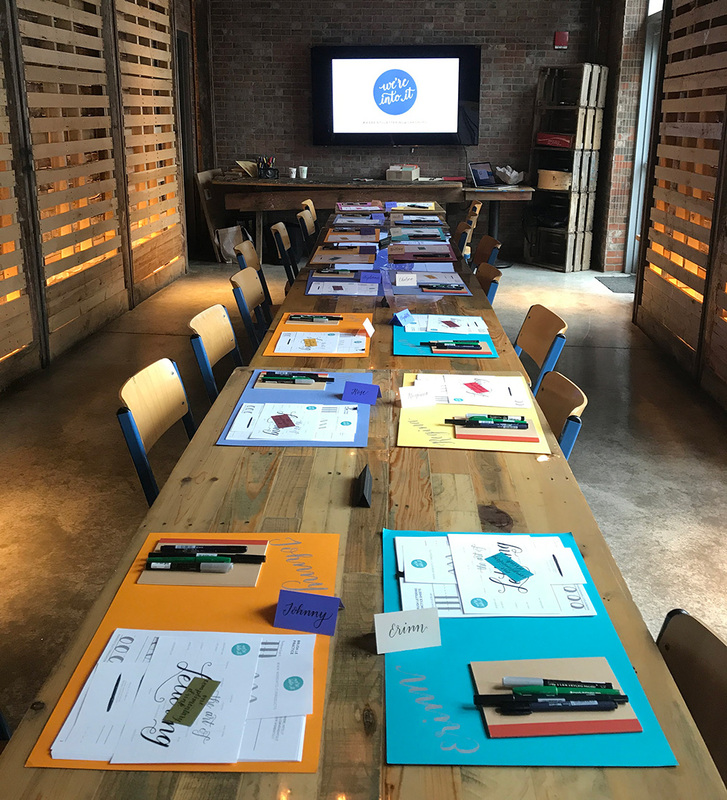 We teach general workshops for all levels, as well as themed classes with topics such as wedding décor, holiday cards, and envelope addressing. We are always open to bespoke themes — the sky’s the limit! Your class was awesome! I thought you guys had a great, approachable style to teaching. You were very personable and easy going and welcoming. I can’t wait to go to an intermediate class and get more in-depth. It’s a great course with no expectations. If you have no experience (with hand lettering) you’ll walk away with confidence that you can create beautiful words. If you have experience, you’ll walk away inspired to create some amazing cards, gift tags etc. Amelia and Natasha were great teachers, giving advice and tips when needed. A huge fan of typography already, your class has inspired me to be more creative and practice, practice, practice! I’m certainly more confident to do more brush lettering. Thank you! 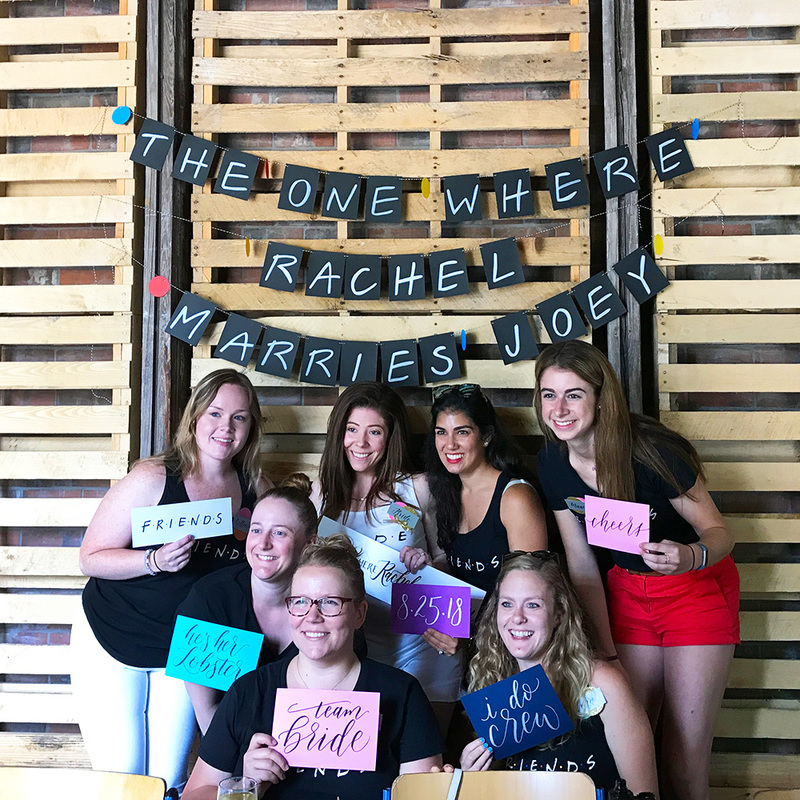 We’d love to teach lettering at your business, or with your team, bridal party, or group of friends. Get creative with us at a unique and fun event!